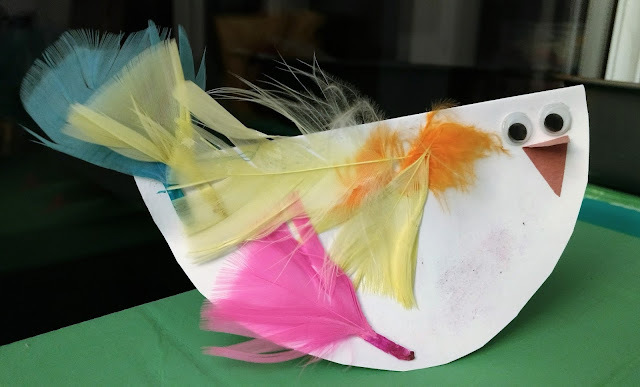 We made these gorgeous birds at Toddler group in the Autumn term. They are made from a folded circle so that they stand up like a card but rock gently when tapped on top. Goggly eyes and feathers, what is there not to love? !